We, here at Surfdome have been heading to the mountains for as long as we can remember. It’s safe to say we know a thing or two about snowboarding and skiing! In this snow guide, we break down the essentials covering hardware to outerwear with everything in between. Be it your 1st ride, or your 1000th, we have made it easy for you to keep up with latest tech and trends. Get scrolling, reading & watching, there is no time to waste, the mountains are calling. Enjoy the ride! Choosing the right snowboard can be a minefield - and that’s before we’ve even got to setting it up. What length of board? What bindings are compatible with it? How stiff should your boot be? Don’t panic, we’ve got your back. Delve deep into our snowboard guide to discover everything you need to know about sharpening edges, detuning, waxing & more. 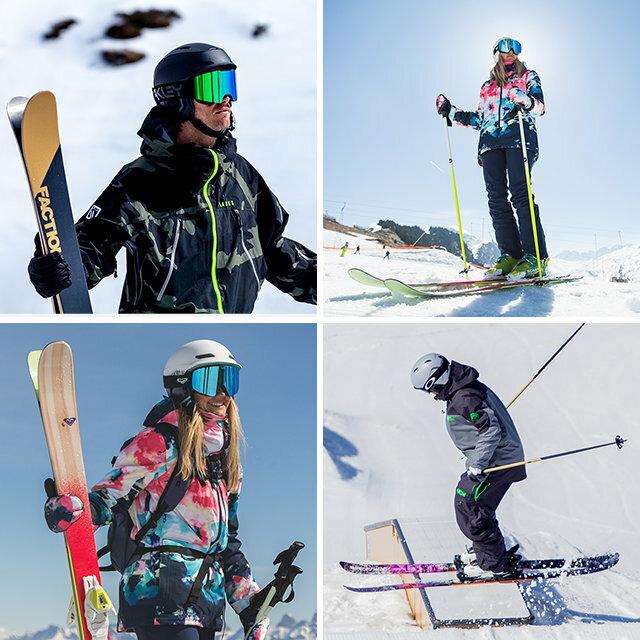 Technology has provided progressive ski shapes, lengths and flex for all abilities. Having the right choice of skis will massively impact your experience, so making sure your planks are right for you is essential. Hit the links below to find out more! Put a lid on it! Apart from the obvious protection they give, helmets offer warmth, ventilation & style. To make sure you choose the right one for you, check out the guide below & rest assured in the knowledge that our range of lids all meet European safety standards. Spherical or cylindrical lens? Good in a whiteout? You guessed it – there’s heaps of options to choose from, but once again we’ve got a goggles guide to help you pick a style that combines comfort, trends and practicality, and avoids snow blindness. Gloves are an essential accessory you can’t head to the mountains without! Depending on your discipline, there are gloves that will allow your ride to be that much more comfortable and hassle free. Find the perfect fit for you now! Looks aren’t everything, but they certainly help! Our range always ticks the style box, but there’s much more you need to know before you shell out your hard-earned cash on this season’s must have. Find out more below. Another essential item that can make or break your trip. Warm or cool, baggy or slim – snow pants are an area that can’t go overlooked. 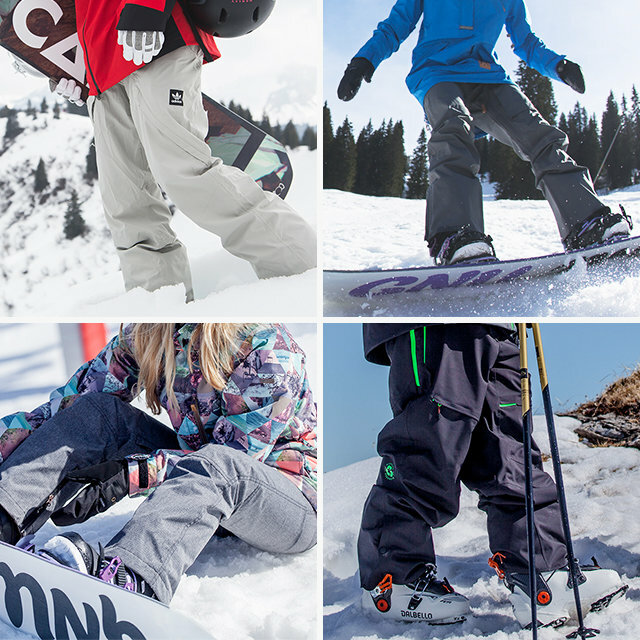 Step into our guide and find the pants you need for your next trip to the mountains. Many brands are now finally taking sustainability seriously through their product line and supply chain. 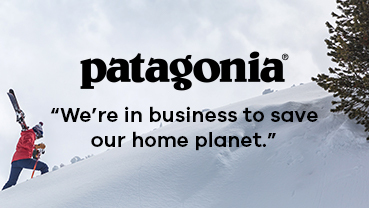 We would be nothing without the brands we stock and so we will champion those that do the best by the planet. 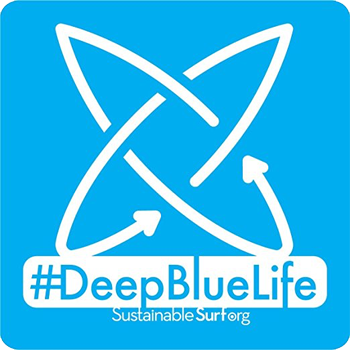 Look out for the #DeepBlueLife mark that is a sign of sustainable product curation. Products listed here will have a variety of sustainable credentials both environmentally & socially, and have all been independently recommended by the SustainableSurf.org team.